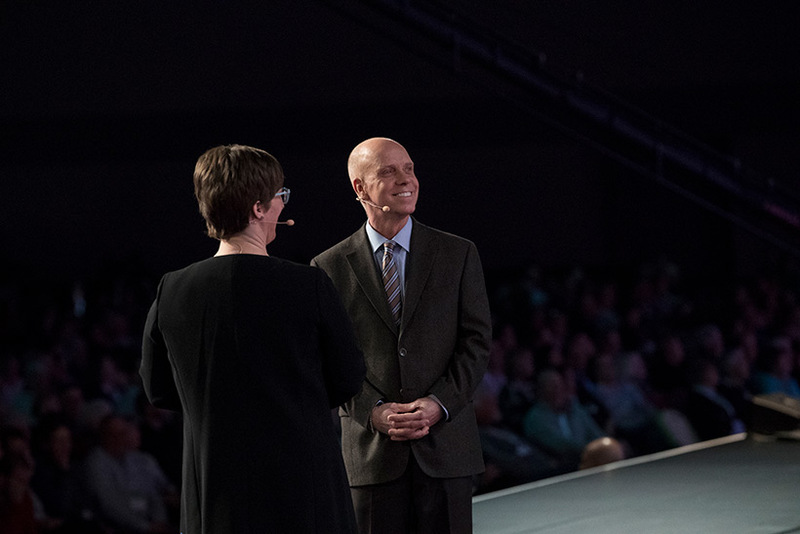 American figure skating icon and former Olympic gold medalist Scott Hamilton was the featured today’s general session and shared meaningful stories from his youth, career, and family life. Saturday’s general session begins at 8:30 a.m. MST. Natalia Lafourcade, internationally recognized artist and Henry Louis Gates, Jr., Emmy award-winning filmmaker, literary scholar, and television host, will be the featured keynote speakers. Doors will open at 7:30 a.m.
Daily breakout sessions are offered at 11:00 a.m., 1:30 p.m., and 3:00 p.m. View the full schedule on our website or in our mobile app. Starting at 4:00 p.m. from the Salt Palace north foyer will be the walking parade down West Temple Street towards the LDS Conference Center on Temple Square. Along the walking parade route you’ll find mariachi bands, food trucks, and other family friendly activities. The closing event, My Family. Mi Herencia. Featuring Luz de Las Naciones, will begin at the LDS Conference Center at 6:00 p.m. Please be in your seats at least 30 minutes prior to the start of the performance. This production features over 1,000 people in the cast, including a youth and young adult choir, musicians, storytellers, and dance groups. They will be performing a variety of contemporary and traditional dances and songs from a number of different regions of Latin America.